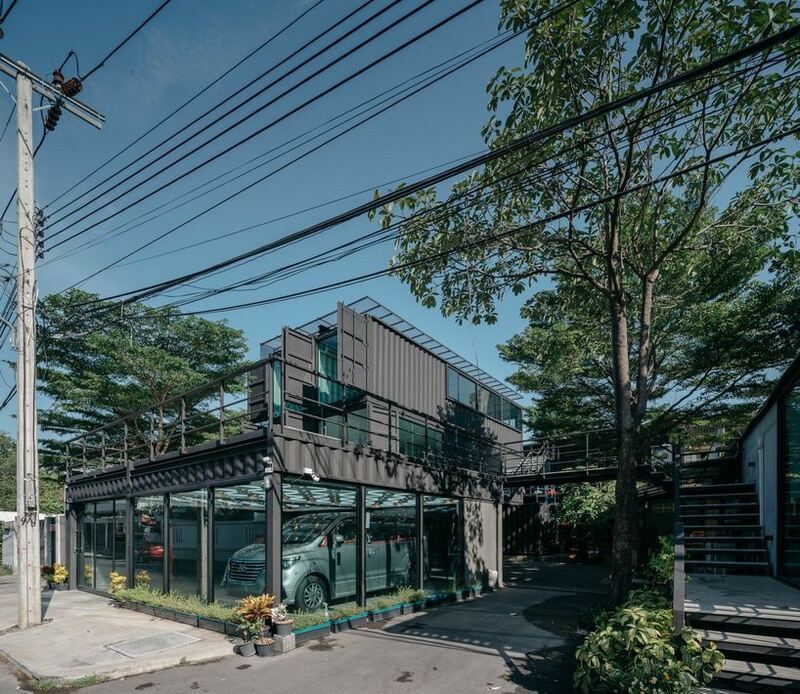 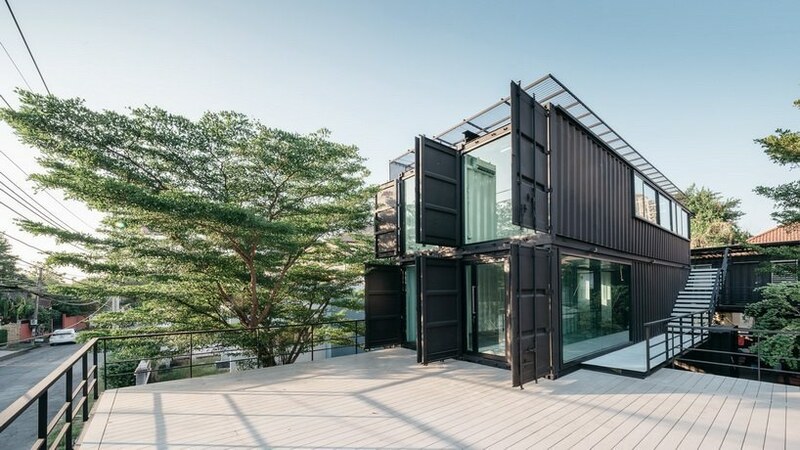 thai based practice, archimontage design fields sophisticated, has re-purposed shipping containers to create the ‘muangthongthani carcare’ project. 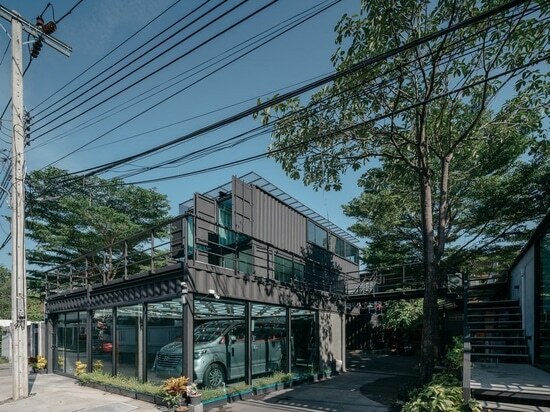 the building is situated in muang thong thani, in a suburb of bangkok, and uses a combination of large and small units to form the center. 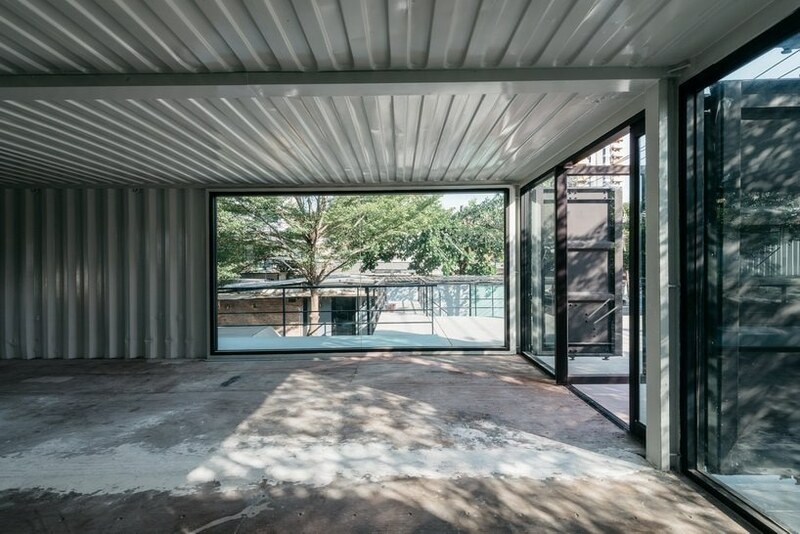 the ground floor provides space for a coating area, parking and storage, while the second floor is designed to house a restaurant with a separate multi-purpose area for a future bar.the project is located on a 300 m2 plot of land and the long and narrow plot required an in-depth organization by the architect. 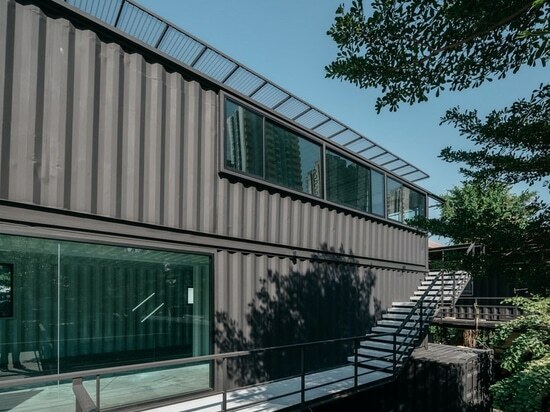 the main façade of the building faces south while the other side face east. 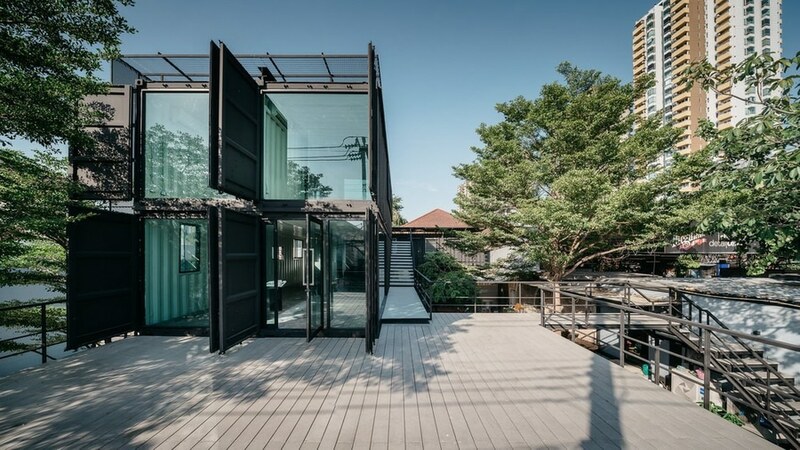 the third floor is an office and there is a outdoor staircase to provide access to customers. 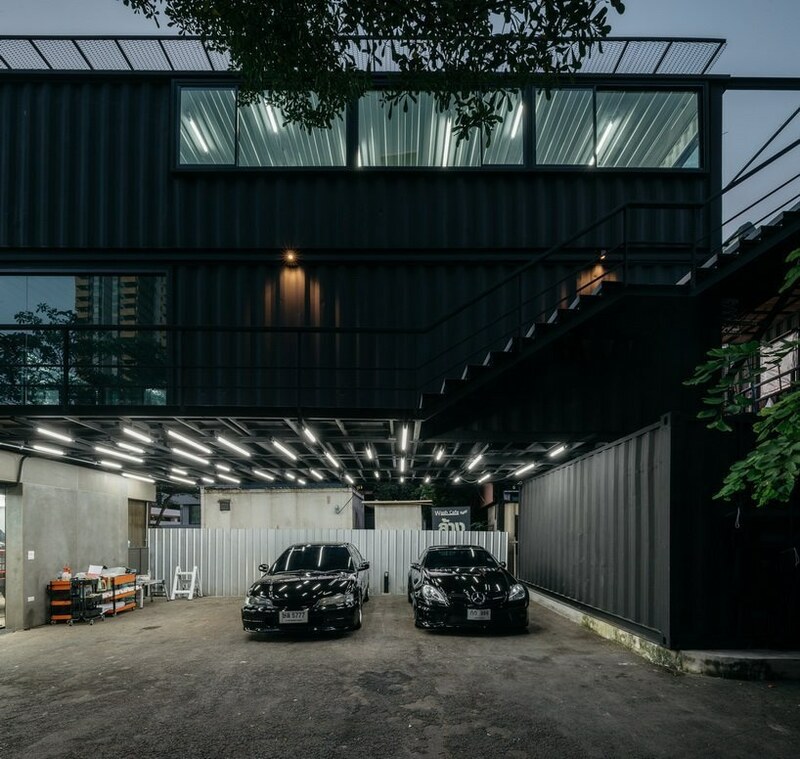 the building exterior is painted in matte black but the interior is white as the two colours create different perceptions. 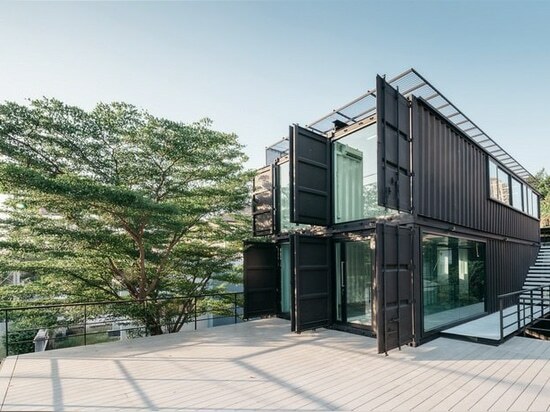 the inner most part is a residential area for staff. 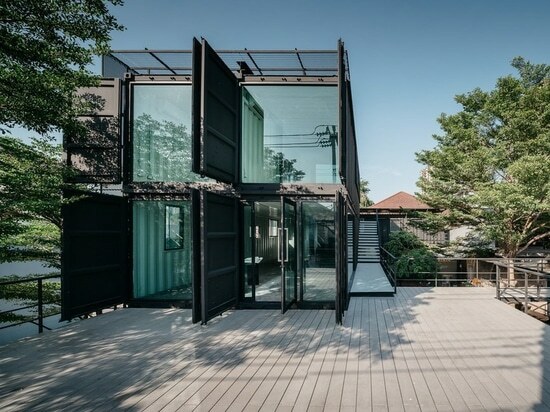 the arrangement of these containers uses different sizes of square holes that function as windows and doors. 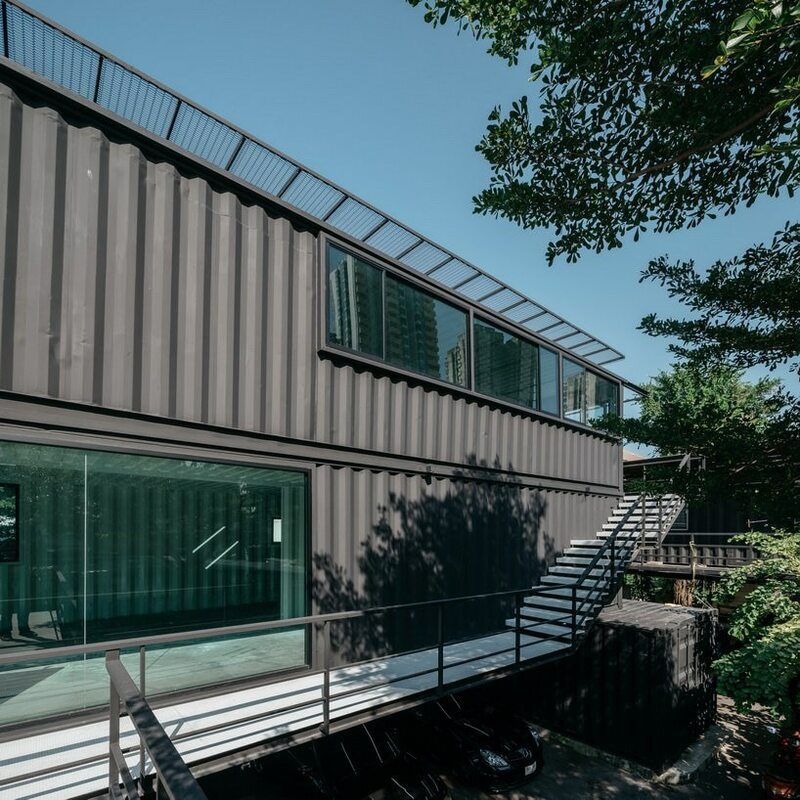 the west façade and the roof have metal sunshades to reflect sunlight and protect the building from the heat. 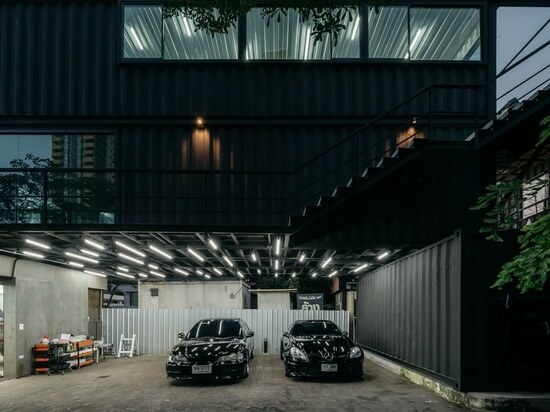 lighting design relies on 13 tubes 36-watt fluorescent lamps that spread throughout the building on the customized metal railings. 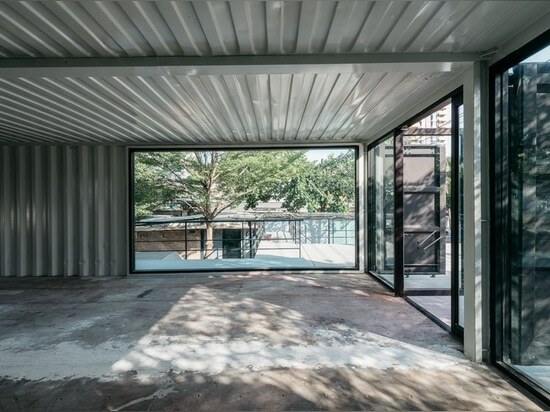 using the container, archimontage has created an easy and cheap form of construction, highlighting the material’s authenticity.